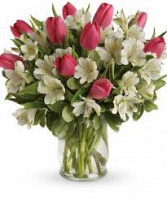 Tulips and Alstromeria arranged with Varigated Greenery in a Clear Vase. 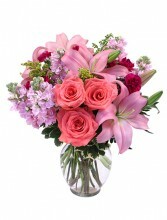 Show her she’s #1 with this beautiful arrangement of pink lilies, lavender stock, and coral spray roses. 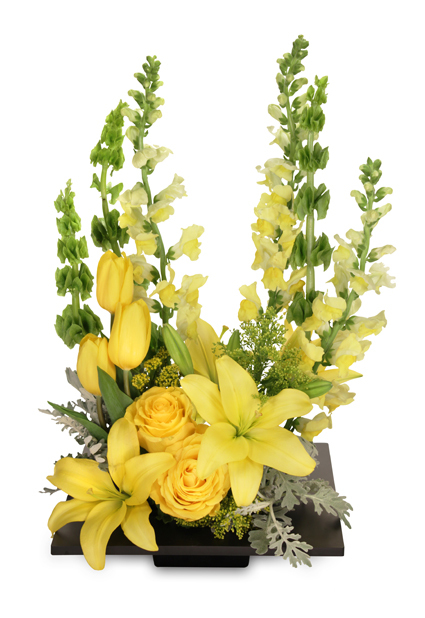 Fresh flowers are a great way to show that you appreciate all she does. 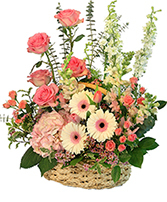 Send her flowers today!